Swing the mallet and ring the bell! Great for any event. Portable, easy to use and fun to play. Appropriate for age 10 to adult. Unit requires truck transportation. Measurements (upright): 10' tall, 61" deep, 42" wide (wheeled). 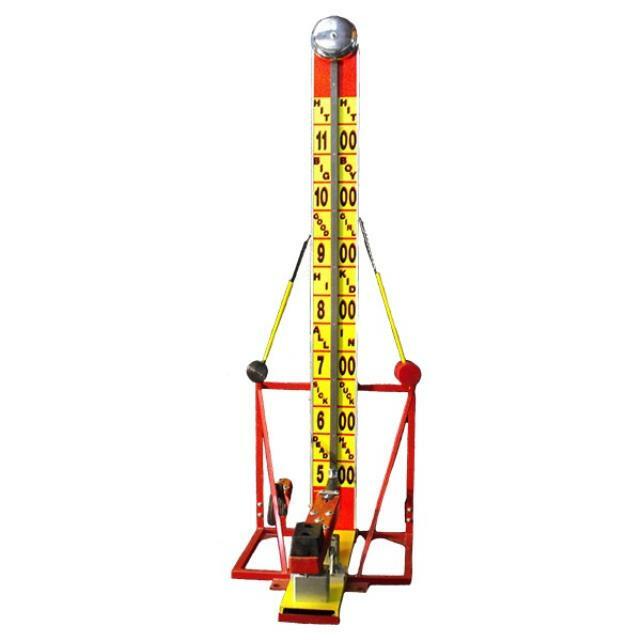 * Please call us with any questions you may have about our hi striker junior 10 foot tall rentals/sales in State College, serving Central Pennsylvania.